If you’re looking for somewhere to get a whole range of health food and ingredients, Buy Wholefoods Online is the place to go. 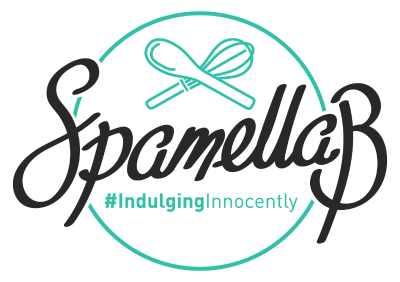 A family-run international health food supplier, based in North East Kent, the brand delivers top quality natural and organic wholefoods, and related healthy living products, directly to homes and businesses across the UK and Europe. 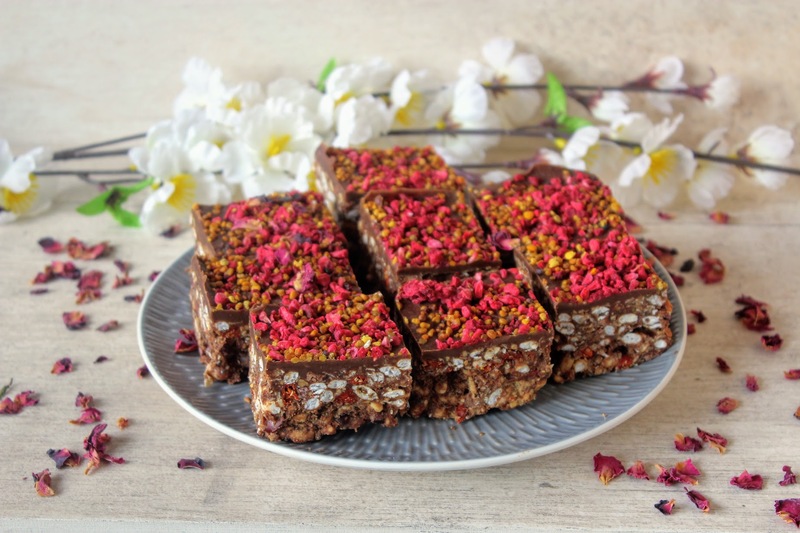 From a vast range of superfoods to all the dried fruits you could want, speciality free-from baking ingredients to indulgent chocolate products, the site has everything under one roof making it a breeze to find things for healthy living. 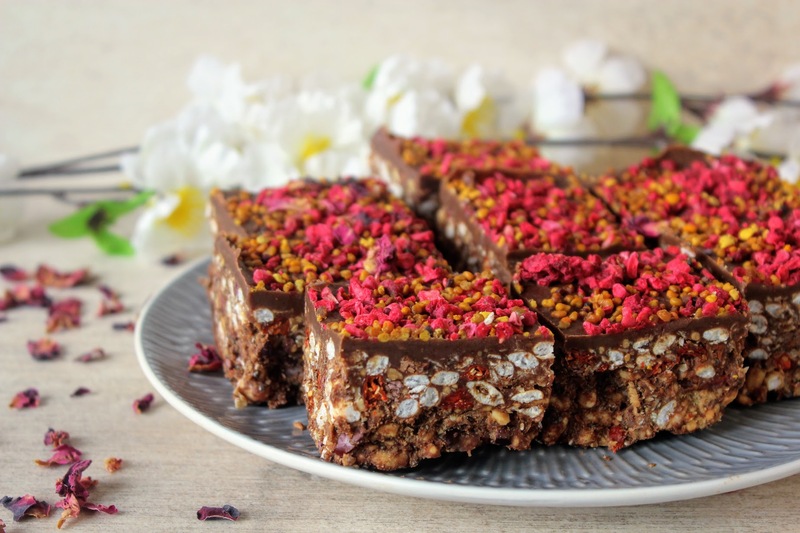 When I was kindly asked to choose a generous selection of ingredients to create a recipe, I filled my basket with storecupboard essentials like puffed rice, coconut oil, nut butter and date syrup (my favourite type of liquid sweetener) plus other ingredients such as dried rose petals, bee pollen and buckwheat flour. I could have easily spent a whole lot more thanks to so much choice (all of the products are reasonably priced) and will definitely be using Buy Wholefoods Online in the near future. 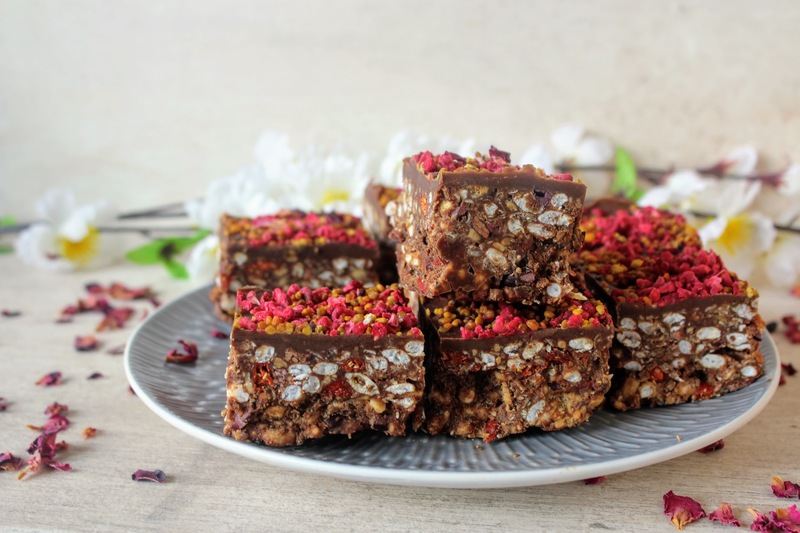 For now though, I hope you enjoy these super easy, energy-packed no-bake superfood bites. 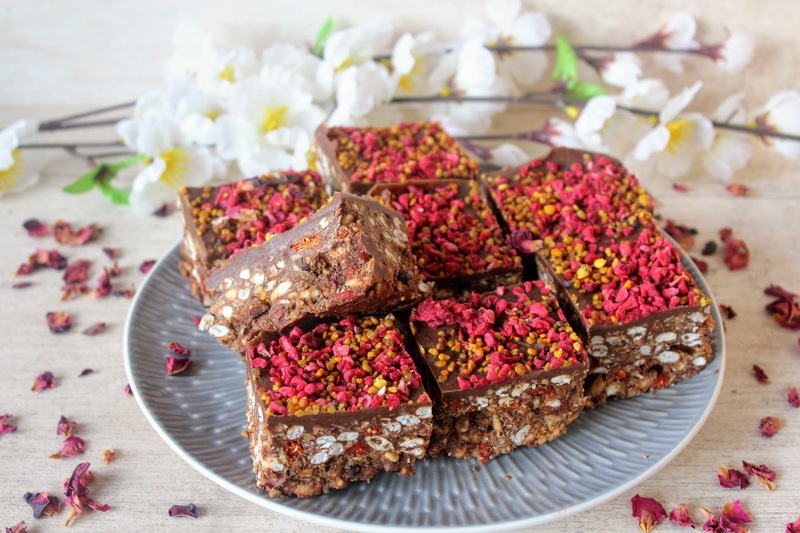 Ideal for when you’re craving something to satisfy a sweet tooth, these make a great snack or dessert when you need a boost (without the refined sugar and energy crash later on!). You can add dried fruit into the mixture, and/or nuts and seeds like flaked almonds and pumpkin seeds for extra texture. Just customise as you wish and enjoy! First mix together the puffed rice, oats, chia seeds, cocoa powder, cacao nibs, maca powder and cinnamon in a bowl. Gently melt the coconut oil, cashew butter and date nectar then pour into the dry ingredients and mix well to combine. Tip this mixture into a small tub or tin (about 15 x 20cm) lined with greaseproof paper and press down evenly. Set aside. Next gently melt the cacao butter drops and date nectar, then whisk in the cocoa powder to form a smooth sauce. 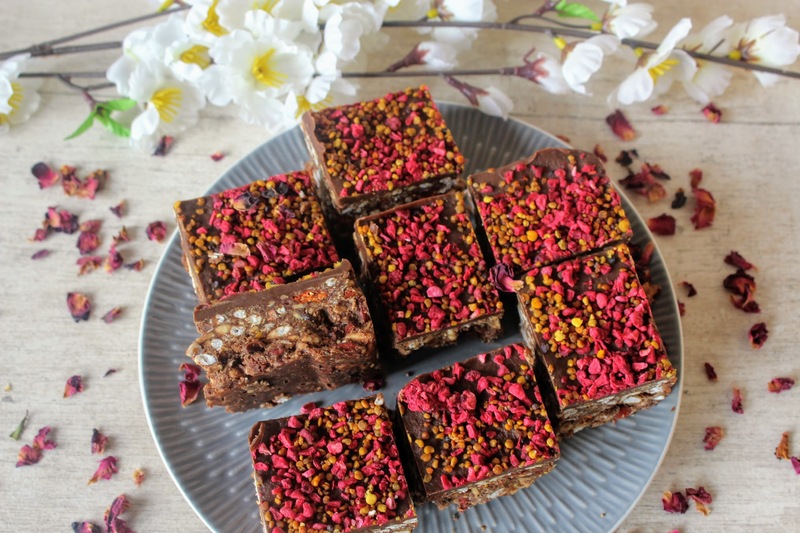 Pour this over the base, then scatter the freeze-dried raspberries and bee pollen generously over the top. Place in the fridge for at least 3 hours to set.